BEN Barba says he's even more excited to be linking up with his North Queensland teammates after watching Australia's historic Test match against Tonga. Barba, who has joined the Cowboys for the 2019 NRL season, has arrived back in Australia after a stellar stint with Super League outfit St Helens, which included this year's Man of Steel award. The 29-year-old from Mackay decided to cut his stay in England short due to homesickness. 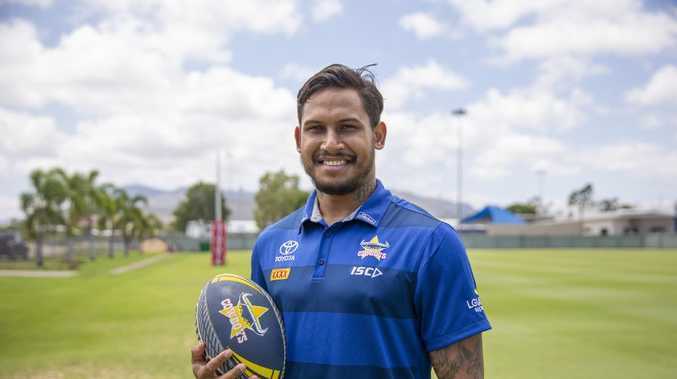 After stopping in at Cowboys headquarters on Tuesday ahead of pre-season training, which starts on November 5, Barba expressed his eagerness to work players such as Jason Taumalolo, Jordan McLean and Matt Scott. "This Cowboys forward pack is one of the best in the comp," Barba told Cowboys media. "I watched some of the boys play the other night and me and my dad were just champing at the bit going 'you're pretty lucky to play with guys like that'. 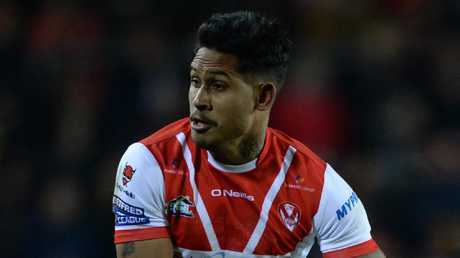 Ben Barba had a stellar season with St Helens. Barba said the chance to return to the area where he grew up was a deciding factor in his decision to sign with the Cowboys and reignite his NRL career, which was put on hold after he failed a second illicit drugs test following Cronulla's title win in 2016. "It was just the opportunity of coming back to where I'm from," Barba said. "I've played most of my senior footy down in Sydney, and now just to be down the road from where I grew up in Mackay, it's going to give a lot of family the chance to see my play live. "That's one of the main reasons, and obviously here growing up some of the guys I looked up to like Matty (Scott) and to wear the colours those guys have worn is something I wanted to do. "It's wonderful, something I only ever dreamt of as a kid, so to be given this opportunity for the coming year, I'm very excited."